The first synthetic, high strength, plastic rope in our lineup, Sprint is ultra-light and super smooth. It can be great as an introduction to the RPM rope family, makes for a perfect grab n' go travel buddy, and is a worthy addition to anyone's rope arsenal, beginners and pros alike. High strength PC-ABS poly blend construction. 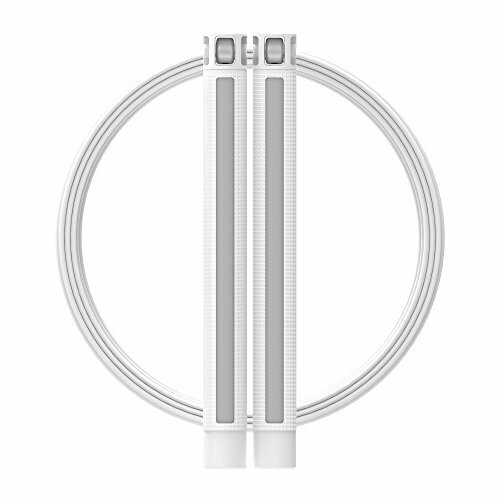 Built standard with our white COATED CABLE (12ft length), but is also compatible with all colors of both our bare and coated cables! Fast and highly efficient our coated cable is the most durable option, can handle a variety of jumping surfaces, and is great for beginners and rope pros alike. Thermoplastic rubber over-mold for improved grip. Comes with a microfiber bag for easy storage and transport. If you have any questions about this product by RPM Fitness, contact us by completing and submitting the form below. If you are looking for a specif part number, please include it with your message.